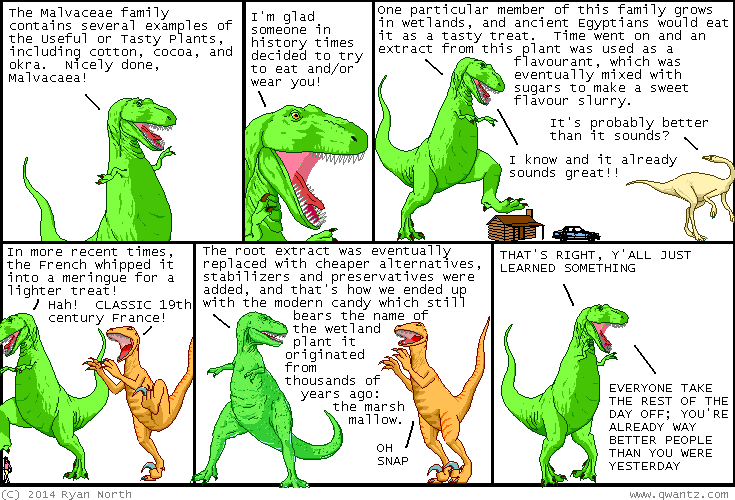 Dinosaur Comics - May 13th, 2014 - awesome fun times! May 13th, 2014: TRUE FACTS: I wrote this comic while staring at a wall of herbs! Inspiration: it's everywhere, especially if you're stuck in a room staring at a wall of herbs.